This residential course in July features a range of activities to keep your child stimulated and learning English during the Summer holidays. The course runs between 8th and 21st July 2014 and is for children from 10 to 16 years old. There are options to stay in residential accommodation or with a host family. Children will be well looked after by the host family, who provide home-cooked food and family events. One of the biggest advantages to the Summer School is that children gain confidence speaking English in a natural environment. This comes from both the classes with qualified and experience English teachers and through the children’s interactions with the local community. Children will have a fun and rewarding time learning English like a native English speaker by being immersed in the language in its natural form. The cost of the Summer Camp is 800€/week fully inclusive, which means you don’t have to worry about any additional costs. All of the activities, trips and events are included in the price. You can be confident that your child is learning in a safe, friendly and secure place. This entry was posted in School Information on April 30, 2014 by Luisa. May4this World Laughter Day! Would you like to celebrate World Laughter Day? I was fortunate enough to participate in the “Que la Risa te acompañe!” street laughter event on the 2nd of February, 2014. It was a great time to laugh, dance, jump, and play as if no one was watching. It was so much fun, an experience I highly recommend. Check out the video here: https://www.youtube.com/watch?v=H63eEkHSQ0Aç. Also you can celebrate World Laughter Day with the Language Corner Gandhi (https://plus.google.com/u/0/b/113946742314160480222/113946742314160480222/posts). Monday May 5th we will offer a FREE Laughter Yoga class. Have fun learning English with laughter. The Language Corner is located in Cuidad Lineal on C/ Gandhi, 19. It is a very short walk from Metro La Almudena or Metro Garcia Noblejas. *Class is limited to 12 participants. This entry was posted in General English, School Information on April 28, 2014 by Merlin. Today is Friday and The Language Corner is open! We are here for all your English, French, and German needs. 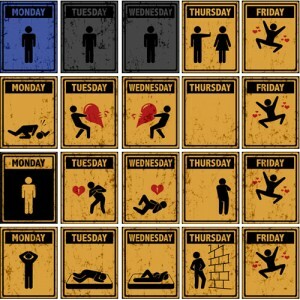 Can you guess the lyrics to the hit song, Friday I’m in Love, by the Cure? This entry was posted in General English on April 25, 2014 by Merlin. In our 2 academies in La Elipa and La Almudena the majority of our classes are conversation classes. This is because this is the one area where most of our students tell us they have a weakness. By and large Spanish children learn English grammar very well at school, but have very little chance to use this in a conversation. By focusing on this area we allow students to gain confidence in spoken English and through this improve their fluency and pronunciation. All our teachers are native English speakers with experience of teaching English in the UK and Spain, and are fully qualified with TEFL Certificates. We have a flexible timetable with classes from 10am to 10pm Monday to Friday, and Saturday mornings too. Our system means that if you are not able to attend your class then you are able to catch up that class later in the week. We follow a magazine that provides articles on current events and recent topics, which gives the necessary vocabulary to be able to have a conversation on that subject. This is then used for a discussion, either directly with the teacher or between other students in the group. Typical homework is to write about the topic discussed or to practise a particular grammar topic. There is a maximum of 8 students in the group. With the children we follow stimulating course books with a strong focus on the natural world. Children learn a range of useful and practical vocabulary and reinforce their knowledge of grammar with spoken English. The conversational English classes compliment their work at school, enabling them to progress with confidence. There is a maximum of 6 students in the group. This entry was posted in School Information on April 24, 2014 by Luisa. 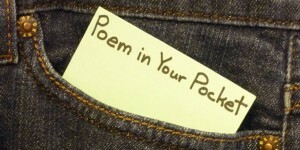 Today is “POEM IN YOUR POCKET” Day! Poetry is an excellent way to improve your English. Poetry is diverse and allows you to choose from many different topics of interest. There are also endless styles and formats of poetry. Poetry vocabulary varies from simple to complex. Many poems us repetition, rhyming, and rhythm to help increase your English pronunciation. Go ahead, choose your favorite poem, in English, and get to reciting!! The British Council has a great poetry and stories section to practice English, check it out here: Stories and Poems. If you would like to use poetry in the English learning classroom, our native teachers can help you with that! 91 001 42 81/ 673 340 106. This entry was posted in General English on April 24, 2014 by Merlin. Follow your favourite TV, film, music and sports stars on Facebook or Twitter to improve your English! There are various advantages to using social media to improve your English. Perhaps the simplest is that you can access the same information you would receive in your native language but instead in English. This way you can still keep up-to-date with the news, current events or your favourite celebrity but learn English at the same time! This is a great way to expand your vocabulary, on both the topics that you talk about regularly and others that may only be in the news a short time. Following specific topics or hashtags on Twitter will help you focus your reading on particular areas. Another advantage is if you are overwhelmed by reading full newspaper articles in English then social media is a great place to start. 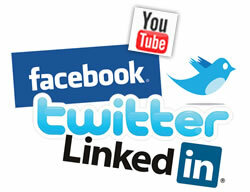 You can use social media such as Facebook or Twitter to receive small bits of information daily. This way you can continually improve your English, not just your reading skills, little by little. A further benefit is being able to learn in your spare time. If you are on the bus or train, standing in a queue or waiting to meet a friend then spending 5 minutes reading Facebook posts or Twitter feeds in English will mean you are using your time productively. Facebook specifically is excellent for following discussions, and learning the associated vocabulary and relevant grammar structures that go with them. Posts on Facebook and the comments left are not restricted by the number of characters and so people will generally write grammatically correct sentences or spell correctly! On the other hand you need to watch out for grammar errors (native English speakers don’t always have the best English grammar!) or informal language, although this can also be a benefit as you can get used to up-to-date native English in its natural form. You can also follow certain channels on Youtube, both for entertainment and for learning English. You can find a variety of specific pages for learning English, whether that is grammar, vocabulary or for Cambridge Exam preparation. And of course you should follow The Language Corner for daily posts on learning English! This entry was posted in General English on April 22, 2014 by Luisa. Reading is a great way to learn another language. Reading gives us the ability to learn new vocabulary, to reinforce the vocabulary we already have and also to see how vocabulary is used in sentence structures. Often times as adult learners we want to jump right into chapter books and books that are of interest to us in out native language. While, depending on your level, this can be helpful, have you ever considered reading children’s books? Children’s books are not only for children! It is true. 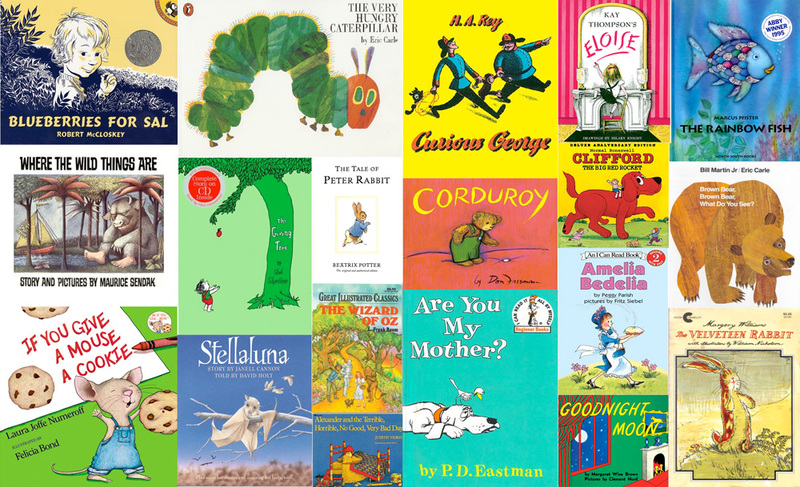 Adult learners can benefit from Children’s literature. 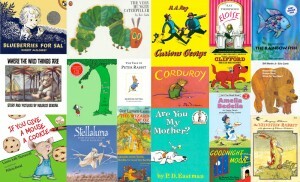 Many picture books cover topics and themes that are of interest to adults. Children’s book are full of vocabulary, captivating illustrations, and the plot is quickly introduced and developed assisting in comprehension. Children’s literature tends to be short (typically around 25 pages), this allows you to read the entire book in one setting. Being able to start a book and read it in completion (and have the sensation that you have understood the material!) is a very big motivator in your future as an English reader. Mastering the reading of Children’s books is the stepping stone to be a successful reader of novels of all genres and themes. Here is a tip for you… READ OUT LOUD. Reading out loud allows you to begin to develop the habit of self-correction with English pronunciation. Even if you do not currently feel you know the correct pronunciation, read out loud. The libraries in Madrid are a great place to begin a search for Children’s books in English. Madrid also has J and J Books and Coffee. J and J’s sells used English books for all ages and all subject matters. What children’s books do you recommend for adult English learning? This entry was posted in General English on April 22, 2014 by Merlin. Are you interested in having a totally free English class with one of our native English teachers? Now that Spring has arrived and we are all full of energy there is no better time to have a free English class in our academy! The first 12 people to respond will receive a totally free conversation class with one of our native teachers at Calle Gandhi 19, Metro La Almudena or García Noblejas. But hurry as places will fill up quickly! Motivate yourself to achieve your goals in English, whether that is to improve your level of conversation or to gain a certificate such as Cambridge First Certificate. This entry was posted in School Information on April 21, 2014 by Luisa. Take your Cambridge Exam with The Language Corner! There are many advantages to achieving the First Certificate or Advanced Exams, such as improving your English, gaining an internationally recognised qualification and boosting your CV. The FCE exam is changing in 2015, with the Use of English and Reading sections now together on the same exam, meaning that there will be 4 parts to the exam instead of the current 5 parts. There will be a different focus on the Speaking and Writing sections to bring them up-to-date. Overall the exam will be 30 minutes shorter than the 2014 version. There are many test centres around Madrid and we can help you find a test centre and a date that are convenient to you. Tests run throughout 2014 so you are not too late to start working towards achieving your qualification this year! We have classes at both the La Elipa and La Almudena schools, with various classes in the morning and the evening. All classes are with native English teachers. Ask us about FCE or CAE classes and opportunities to take the exams with The Language Corner. This entry was posted in General English on April 15, 2014 by Luisa. Do you already listen to songs in English? Do you ever look up the lyrics? It is important to also look up the lyrics. Sometimes the artist is saying something different than what we originally thought. And here is the song (with the lyrics) of the song he actually likes: The Rhythm of the Night It is called, The Rhythm of the night. -Listen to the radio, go the the club, turn on MTV or VH1, find songs you like. -Use Shazam or trackID or any other song identification program to remember songs you like. -Sing out loud to your favorite songs. Songs are more than just lyrics, songs tell a story, they are emotion, passion, excitement, sadness, try to pick up on the emotion and try to capture that feeling while you sing. -Next check out the lyrics in English azlyrics here is an excellent site with the lyrics to most songs. This step is important to be sure that you are singing the correct lyrics. I am a native speaker and many times I have looked up the lyrics to English songs. This ensures that you are learning the right words. -If you have any doubts about words or meanings, get your dictionary and attempt to understand or look for the lyrics in Spanish. -Sing along to the song while looking at the lyrics. You can also go to www.youtube.com and type the name of the song + singer + lyrics (ex: The Rhythm of the Night, Corona, Lyrics) to see the video with lyrics on the screen. -Keep practicing singing along and revising the lyrics until you have learned it. Once you have learned the words to a song it is something you will not easily forget. We can guess a lot about a song by the tone of the singer, but please remember to always look up the lyrics! Do you think you already understand enough English to not need to look up the lyrics? 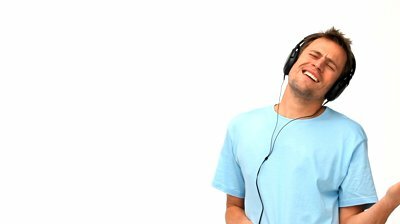 Please check out this site: lyrics training This site allows you to search English songs by level of difficulty and practice your listening skills by filling in the missing words of popular songs. It’s a fun way to enjoy training your listening and writing skills. 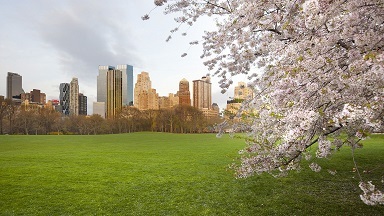 This entry was posted in General English on April 14, 2014 by Merlin.